This report shows that information and communications technology (ICT) in education can be effective under certain circumstances, and that the teacher plays a significant role in this. ICT in education generally refers to anything that involves technology in education. This includes devices such as computers, tablets, smartphones and interactive whiteboards, but also software such as educational games and digital learning tools and all educational applications that can be found on the Internet. The report aims to contribute to the debate on which types of ICT use in education that have proven to be effective. This will be discussed from the perspective of earlier research, as well as several studies with experiments run at secondary schools in the Netherlands. The aim is to bring research and practice closer together, by discussing the applicability of the findings from earlier studies and the Dutch experiments. 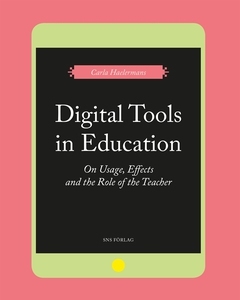 Carla Haelermans is an Assistant Professor in Education Economics at Top Institute for Evidence Based Education Research, Maastricht University.